Let us protect you throughout the entire process. We serve all of Orange County. Choosing an attorney can be critical. Learn why we're the right choice for you. Let our divorce law firm fight for the best interests of both you and your children. with Daniel C. Hunter IV. Attorney Hunter has over 15 years of experience handling divorce and family law cases in Mission Viejo, Ladera Ranch, Dove Canyon, Coto De Caza and throughout Orange County. Providing a compassionate, yet aggressive legal approach, he is adept at creating positive solutions. Time and again, clients have walked away with a favorable outcome. Family disputes are never easy, especially when they lead to separation and divorce. If it has come time for you to go through the divorce process, you need legal representation you can count on. Allow a Mission Viejo divorce attorney from The Hunter Law Group to alleviate the stress of going through the legal aspect of divorce, making the experience somewhat less of a burden. Call our firm at (888) 844-9281 for compassionate family law assistance today! We serve Mission Viejo, Ladera Ranch, Coto De Caza, Dove Canyon, and all surrounding cities in Orange County. He and our entire firm understand the unique difficulties that are associated with family law cases. Should you choose to work with our firm, you can rest assured knowing you have a legal professional on your side who truly cares about your well-being—someone who is invested in your future. How can a Mission Viejo divorce attorney help you? He can also help with highly contested divorce issues, including child custody, spousal support and property division. Without proper legal representation on your side, you could end up with highly undesirable arrangements for these issues. The Mission Viejo divorce attorneys at The Hunter Law Group understand that ending a marriage when children are involved can make the legal process a lot more complicated. If you choose to go through the process of an uncontested divorce, you and your ex-spouse or partner have the ability to determine your children's futures. For those that opt to go the route of contested divorce, you are essentially placing the decision making power in the hands of the judge. Protecting your child's best interests is one of The Hunter Law Group's top priorities. Allow our compassionate legal team to create a case that gets you the privileges you deserve.  Searching for a lawyer for divorce in Mission Viejo? For the past 15 years, our trained legal staff has safeguarded the rights of families and individuals alike. When other firms see insurmountable cases, Attorney Daniel Hunter sees solutions. Past clients have given testimonials about Mr. Hunter, claiming him as one of the best lawyers in Orange County and a leader in his field of law. If you need a Mission Viejo divorce attorney for your family law case, do not hesitate to contact our firm.  Our firm serves clients throughout Orange County, including Aliso Viejo, Santa Ana, Irvine, Anaheim, Orange, San Clemente, and Fullerton. "Mr. Hunter and his firm are absolutely the best!" "My only complaint is that I wish I would have found him earlier."